Edmonton designer Geoffrey Lilge, best known as one of the founders of Pure Design, is launching Div.12, a new brand of contemporary metal furniture. 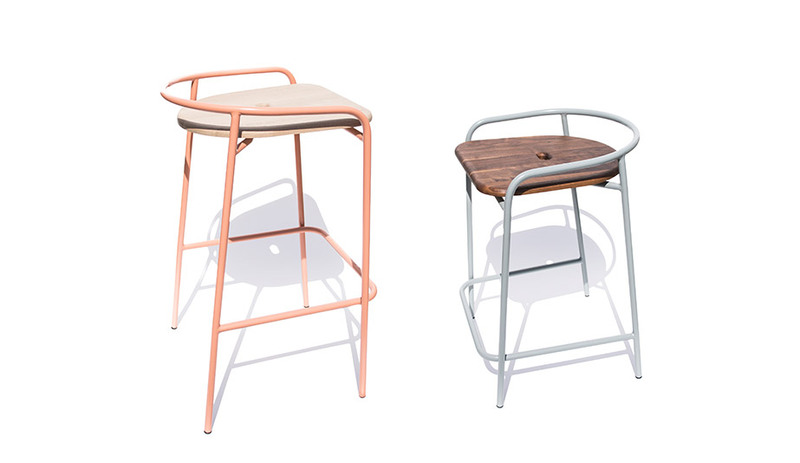 Today the brand debuts its newest piece: SL17, Scot Laughton’s reimagining of his iconic Gym stool. A burned-out factory may seem like an unlikely launch pad for a new contemporary furniture brand, but Geoffrey Lilge has always been full of surprises. If that name rings a bell, it should. Lilge is one of the co-founders of Pure Design, the Edmonton-based brand that, for just over a decade beginning in the mid-‘90s, dominated the Canadian design scene. 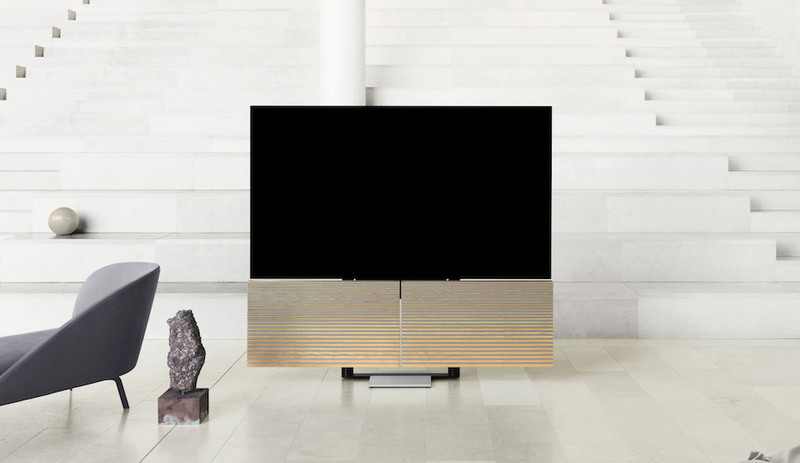 Founded by a trio of industrial designers – Lilge, Randy McCoy, and Daniel Hlus – Pure Design earned global attention for their predominantly metal line of contemporary furniture. 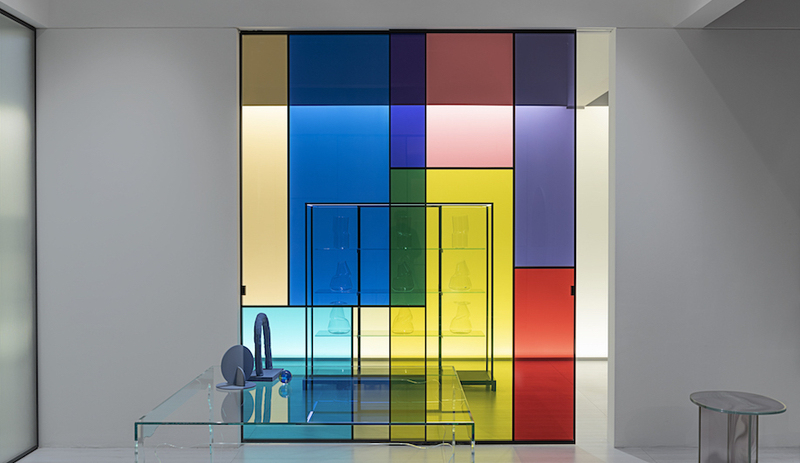 Lilge left Pure Design within a year of the brand winning the 2001 ICFF Editors Award, and it has since evolved from brand to retail operation. 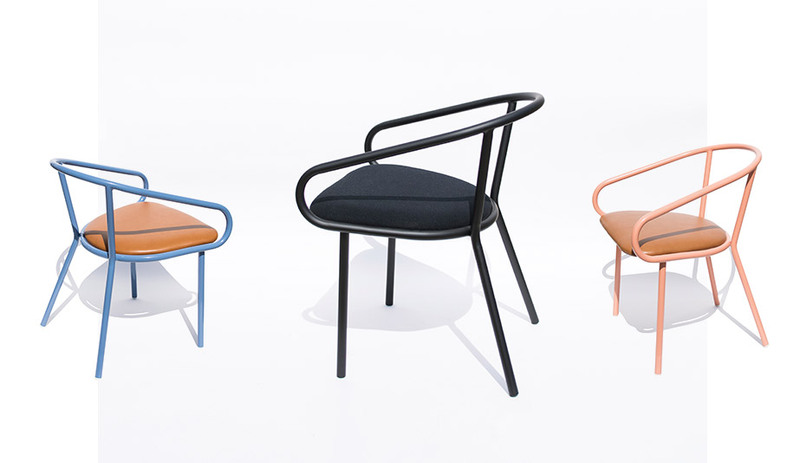 The Resto chair, in various upholsteries and powdercoated colours, designed by Geoffrey Lilge for his new Div.12 collection. This year Lilge is making a return to the furniture business, after a lengthy break during which he taught at the University of Alberta and helmed On Our Table, a line of contemporary charcuterie boards and wood serving trays. 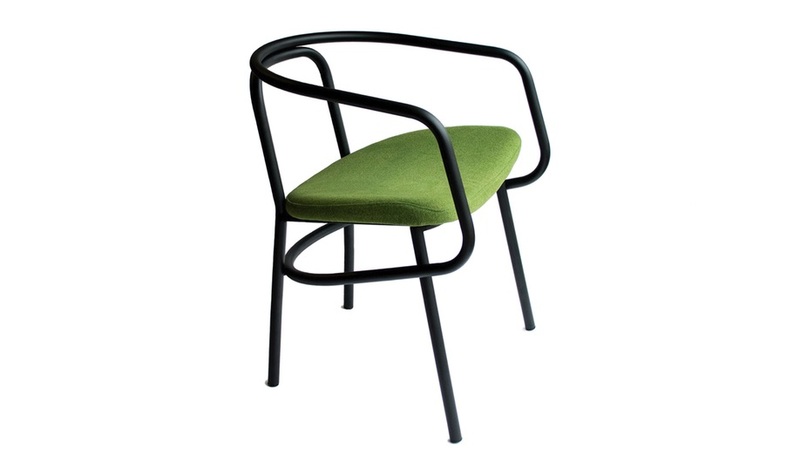 For some time the designer had been aware of a shuttered chair factory in northwest Edmonton, lost to fire in 2014. 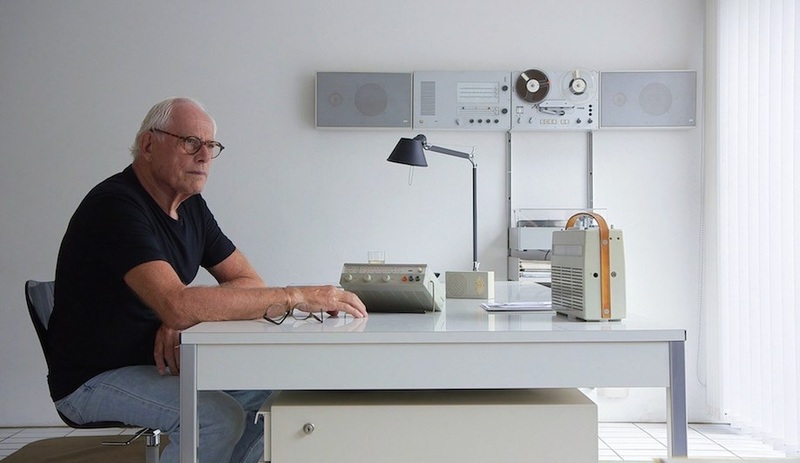 But last winter, right around the time he sold On Our Table, he learned that the factory’s metal shop remained intact, sitting empty and waiting to be brought back to life. Designed to be equally at home in hospitality or residential settings, the Div.12 collection debuted earlier this year, with a number of pieces designed by Lilge. 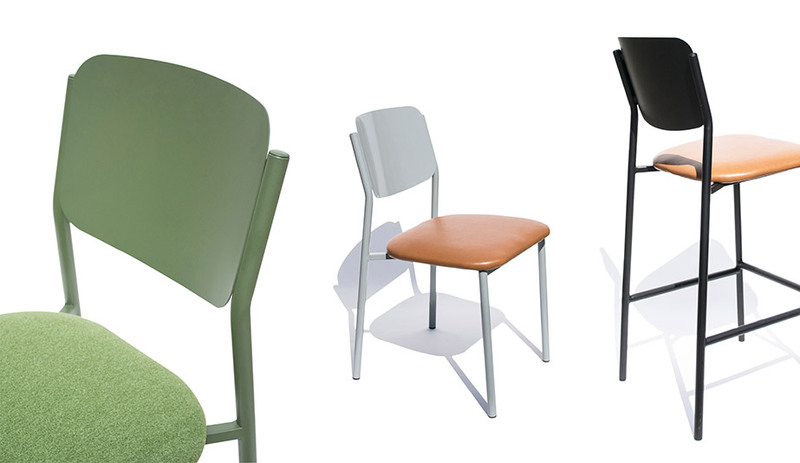 Made from hard-wearing materials, the common thread among the pieces is the metal bases, which are intended to be powdercoated in the clients’ colour of choice, and the solid wood seats, which borrow their rounded edges and soft lines from the cutting boards that Lilge was creating previously. 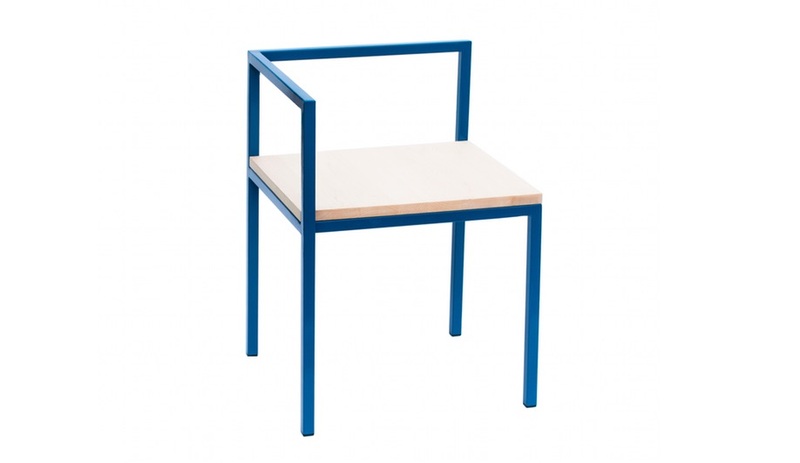 By combining these wood and metal components, Div.12 brings together the best of On Our Table and Pure Design. 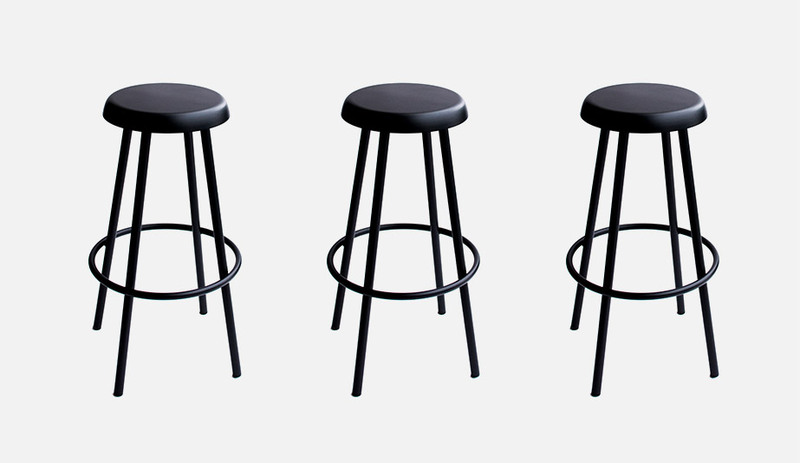 Bender stools, available in bar and counter heights. Lilge’s board and tray business had been launched as a collaboration with his wife Cindy Lazarenko, a well-known Edmonton chef. The brand’s collection grew out of designs meant for Lazarenko’s restaurants, and though she’s moved on from running a kitchen, the family is keeping a hand in the business with Div.12. 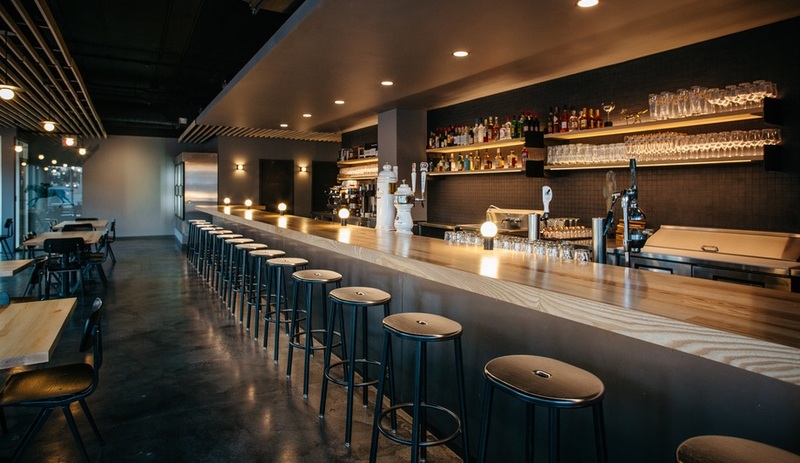 Deck bar stools from Div.12, at Cartago, an Edmonton restaurant by local designer Jordan Tomnuk. “My wife had a restaurant, and I did about five restaurants with my brother-in-law as well. I always had such a hard time finding the furniture I wanted for those projects. So I decided to start making it, and do pieces that can be custom-finished or -upholstered to fit with branding or colour palettes,” says Lilge. It’s no surprise that he found his first collaborators for the line in another firm who’d taken the same approach. The Homa chair was originally designed by Montreal firm Rainville-Sangaré for the eatery Maneki Comptoir Asiat’, and added to the Div.12 collection after Lilge saw the project. When Montreal duo Rainville-Sangaré couldn’t find the right pieces for Maneki Comptoir Asiat‘, a casual, pop culture–inspired restaurant interior, they designed and built a series of metal and wood chairs, tables and barstools for the space. After Lilge saw the project, the chair was added to the Div. 12 collection under the name Homa. Scot Laughton’s SL17 is an updated version of the Gym collection he launched with Pure Design in the late 1990s. “The plan is to bring in different designers – different voices that are all kind of speaking the same language,” Lilge explains. The latest addition to the series, SL17, comes from another enduring Canadian designer, Scot Laughton. 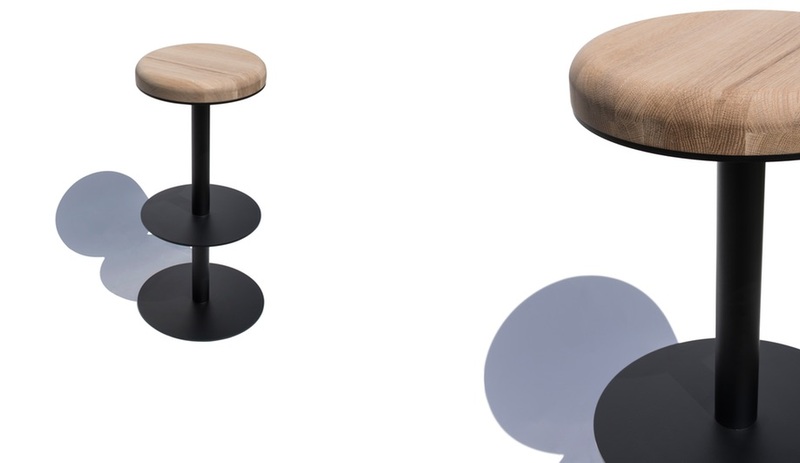 “It’s a ‘next generation’, updated version of a stool Scot did for Pure Design: the Gym stool.” All in steel with straight, splayed legs, the monochromatic seat has a Nordic feel, can be realized in any RAL colour, and is available in 24- and 30-inch heights. In the new year Lilge promises a new piece from Montreal-based Edmontonian Zoë Mowat, a former student from his University of Alberta days. The line will also expand from chairs to other pieces, with the Homa line expanding to include the bar stools, benches and tables it was originally designed to pair with.